The Sparkle Plenty formula was invented in 1903 by Austrian crystal manufactures. 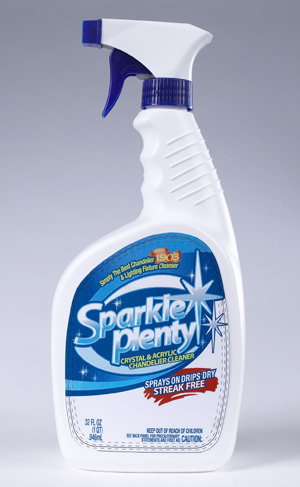 Designed to make cleaning the finest crystal chandeliers easier, Sparkle Plenty's drip dry - no hand rubbing or cleaning formula has successfully cleaned millions of chandeliers since it's inception. Sparkle Plenty turned out to be a fantastic acrylic cleaner too!